The zippered chest pockets feature water resistant zippers for extra storage. 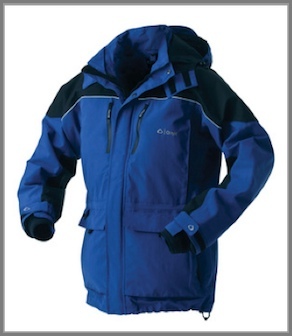 The bellowed, fleece lined, lower pockets will keep your hands warm in colder conditions. Adjustable inner neoprene cuffs, adjustable exterior wrist cuffs, and a 3 piece adjustable roll-up hood with visor keep the water out without restricting movement.